Does your current home plan lack the incredible kitchen space you crave? Let your kitchen be a haven of creativity and organization in your new build. We’ve gathered a few of our customers’ favorite kitchens in our best house plans to help you create your own! Wine and dine guests, enjoy an intimate meal with loved ones, or spend the day perfecting a new dish – you can do it all in your new and incredible kitchen! Hundreds of incredible kitchens await you, all from Direct From The Designers! 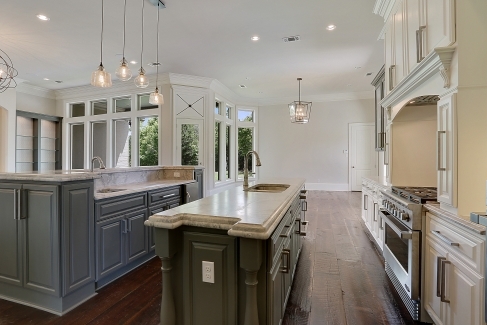 Never-ending cabinets and countertops are key when creating your dream kitchen. Having a large wraparound island is a huge upgrade in storage and work space. This also adds island bar seating, perfect for chatty guests who love to watch you show off your cooking skills! Still not enough? Leave room for a perfectly placed center island, great for use as a prep station. Plus, you’ll find plenty of room underneath for additional cabinet space! 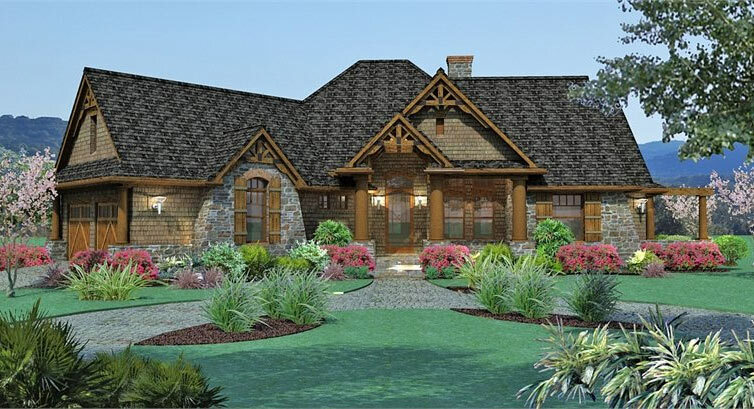 Find that incredible kitchen inside this amazing house plan! A double-sided fireplace feature brings ambiance to both the dining and family rooms. A split-bedroom design gives much-needed privacy to the master suite, while the en-suite acts as your in-home day spa – compete with a soaking tub and walk-in shower! His and her closets mean plenty of storage space. Additional entertaining space is found just outside, with a large lanai and fireplace on the BBQ porch. Never ache for more counter space again, because two HUGE kitchen islands will have you covered! Add two sinks for a tidy kitchen that invites multiple cooks at once. One island adds bar-style seating, providing the perfect place to enjoy a casual meal or for an audience to wait while the meal is prepared. Think organization and functionality with smartly placed cabinetry under both islands and around this large oven! The kitchen is just the start for this beautiful French country home. A large master suite has you living in the lap of luxury with its incredible walk-in shower! A smaller additional suite is perfect for in-home help or spoiling guests. At the end of the day, snuggle up with a good book near the living room’s fireplace feature. Climb the grand staircase to find a full hall bathroom shared by two additional family bedrooms. Why not go rustic with modern flare in your new incredible kitchen? Beautiful wooden features add natural elegance. Storage will never be an issue with a large walk-in pantry (the perfect place to add a barn door) in addition to ample cupboard space. 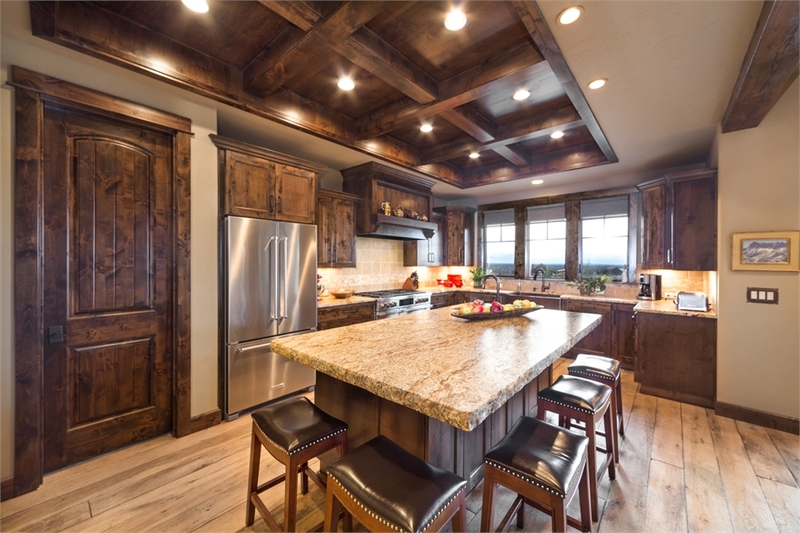 Wooden cabinets keep things traditional, while modern hardware adds a touch of class. Got too many cooks in the kitchen? It isn’t an issue here! 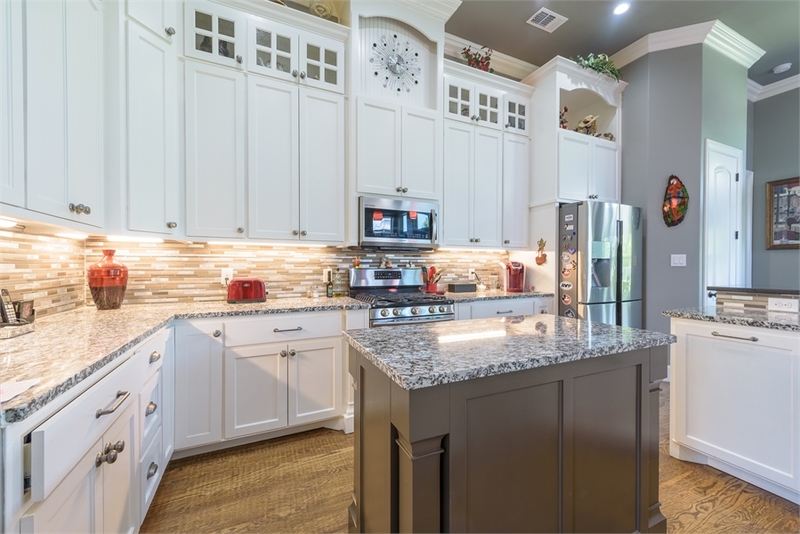 Consider making this incredible kitchen your own, and you’ll have more than enough elbow room for help! Plus, two sinks mean you can have help cleaning up as well! 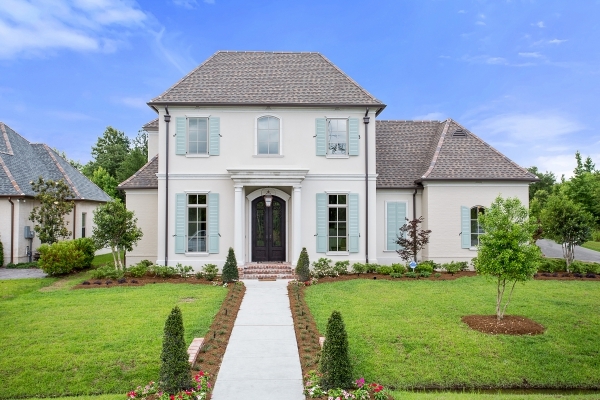 With almost 4,000 square feet of luxury, this home has room for the whole family! Three master bedrooms mean privacy for you, children, and guests. Stay organized with a large mudroom off of the garage, which also acts as the home’s laundry room. A gorgeous fireplace feature and beamwork create ambiance in this open-concept first floor. Plus, a den on the main floor and a large bonus space upstairs leave room to grow into your new dream home. Have you ever been stuck inside cooking when the party has moved outside? Be where the party’s at with a beautiful outdoor kitchen and entertainment space! With a clear view to this space from inside, one kitchen will blend perfectly into the other. 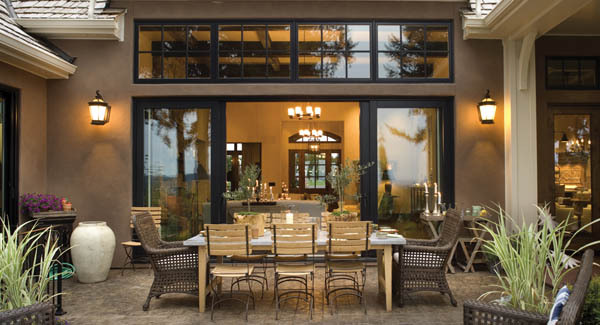 Guests can move seamlessly in and out. Plus, ample cabinet space in both kitchens will bring a whole new level of organization that you’ll love. 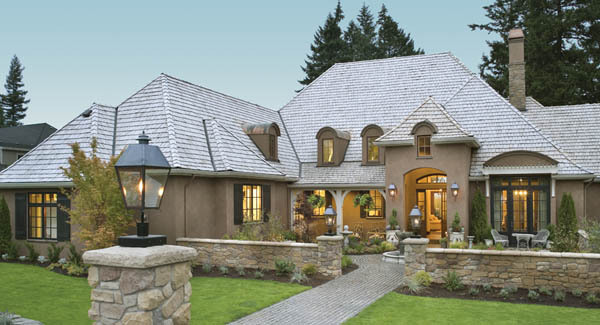 This large European-style home plan boasts a completely open-concept main living area. Three bedrooms and a large den are found on the first floor. Relax in your new and luxurious master suite – your own private getaway. The master bedroom’s seating area invites you to sip coffee or read. The master en-suite includes a double vanity and large tub space. A separate walk-in shower, toilet closet, and spacious walk-in closets are bonuses here as well! If that isn’t enough, you have to check out the incredible laundry/mud room! Now that you’ve started thinking about your incredible kitchen, create the in-home spa of your dreams! 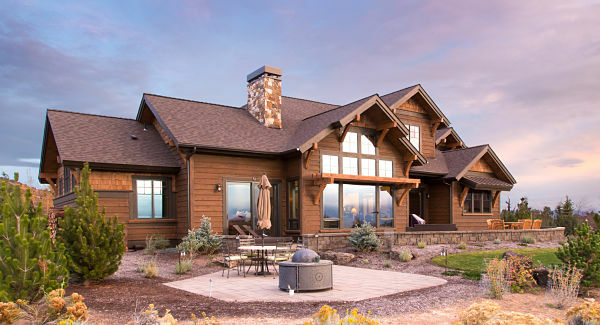 Check out our collection of house plans with great master suites!